Rain showers this morning, then remaining overcast and windy during the afternoon hours. Thunder possible. High near 70F. Winds WSW at 25 to 35 mph. Chance of rain 50%..
Windy. Some showers early then partly cloudy overnight. Low 37F. W winds at 20 to 30 mph, decreasing to 10 to 15 mph. Chance of rain 40%. Winds could occasionally gust over 40 mph. A group of antelope cross the overpass at Trapper's Point west of Pinedale in this October 2012 file photo. A group of antelope cross the overpass at Trapper's Point west of Pinedale in this undated file photo. More than 13,000 mule deer migrate safely through Nugget Canyon near Kemmerer because of six underpasses and deer-tight fencing, according to a media release from the Wyoming Game and Fish Department. The Wyoming Department of Transportation recently received special recognition from the Western Association of Fish and Wildlife Agencies in recognition for its work with underpasses and overpasses throughout Wyoming. Vehicles killed about 130 mule deer each year throughout the 1990s in the Nugget Canyon area, according to research from Western EcoSystems Technology, Inc. The underpasses, combined with deer-proof fencing, reduced crashes between deer and vehicles by 85 percent, the release stated. 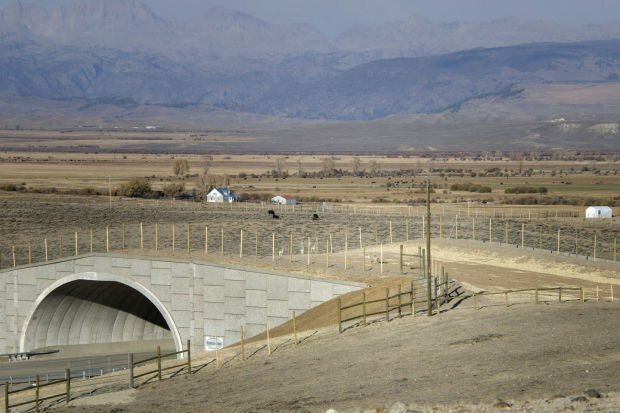 The department of transportation built six more underpasses and two overpasses in 2012 near Pinedale. 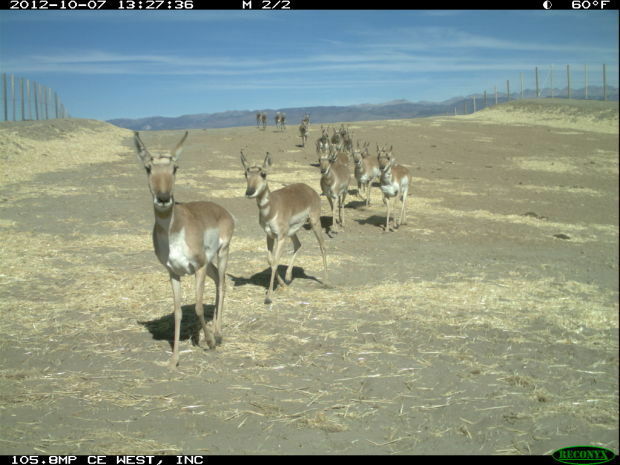 The Trapper’s Point project addressed a major barrier in one of the longest seasonal ungulate migrations in the Lower 48. The crossings provided mule deer and antelope safe passage along U.S. Highway 191. Migrating big game travel more than 150 miles between summer ranges in the northern Wind River and Gros Ventre Mountains and winter ranges in the Red Desert of southwestern Wyoming. “Although the project was designed to benefit both mule deer and pronghorn, the overpasses are especially important to pronghorn because they are some of the first structures ever built in North America to get this species across a major highway,” state Game and Fish Director Scott Talbott said in a release. The over and underpasses essentially eliminated vehicle collisions on the highway, according to preliminary results. About 30,000 big game animals use crossings across Wyoming installed by the department of transportation. The Western Association of Fish and Wildlife Agencies is represented by 23 states and Canadian provinces. Reach Open Spaces reporter Christine Peterson at 307-746-3121 or christine.peterson@trib.com. Follow her on Twitter @PetersonOutside.